Some pets don’t like to get groomed. However, you must take into consideration that maintaining the good hygiene of your cat or dog will ensure its well-being, good health, and quality of life. For a good brushing, a haircut, detangling, claw clipping or an ear treatment, our teams are there to help you take good care of your pet. 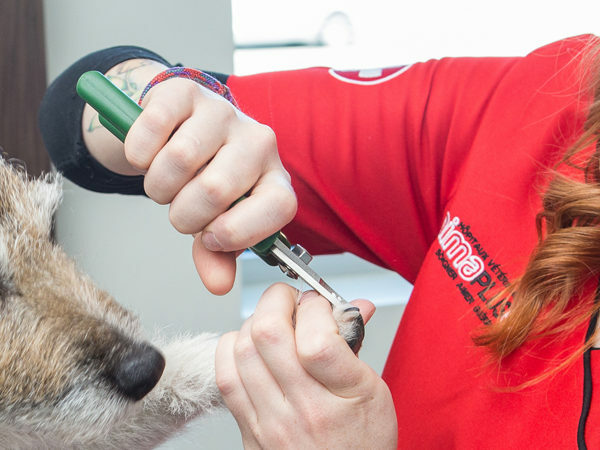 It is possible to groom a more difficult animal under anesthesia. Ask your veterinarian for more information concerning the grooming services available.